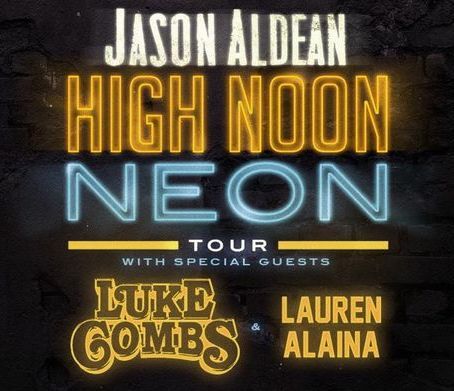 Nashville’s Largest Rooftop Cocktail Party! 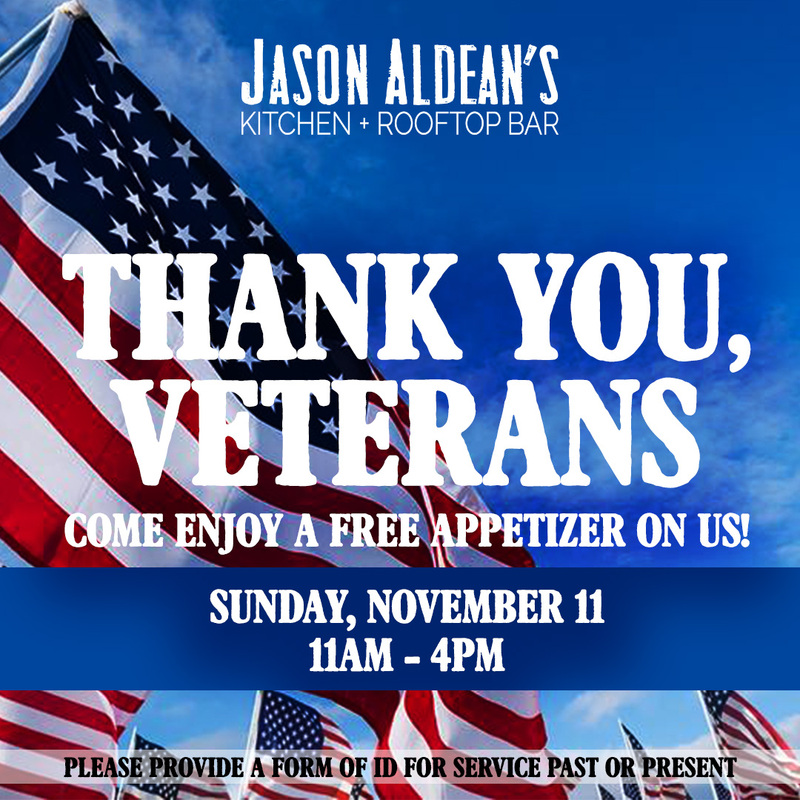 Jason Aldean’s is throwing Nashville’s biggest rooftop cocktail party! 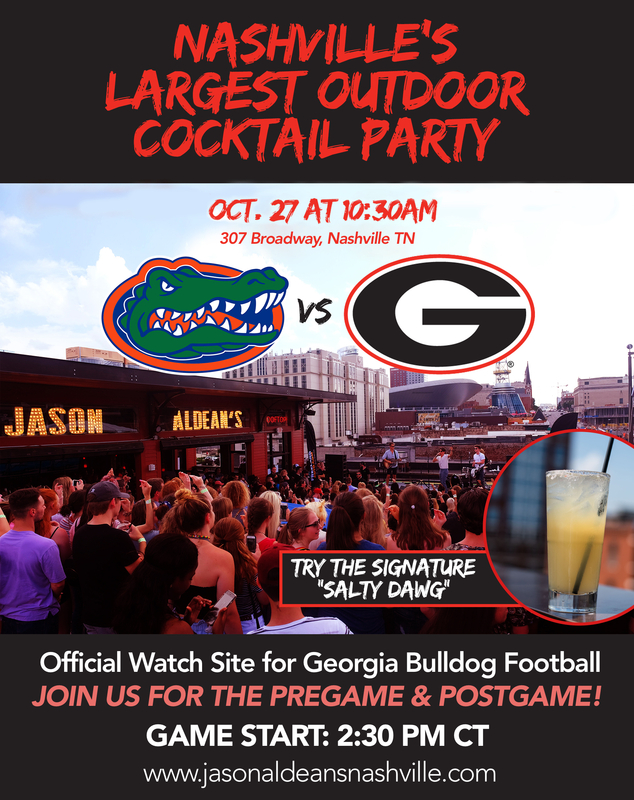 Join us to watch Jason’s team, the Georgia Bulldogs play the Florida Gators! 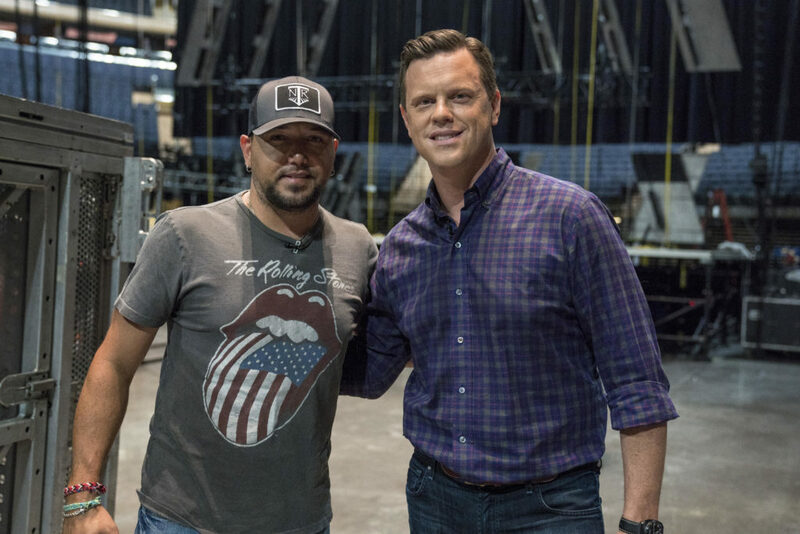 ET was exclusively with Aldean in Nashville, where he opened up about how life on the road is a lot different now as a soon-to-be father of four and his Nashville restaurant. 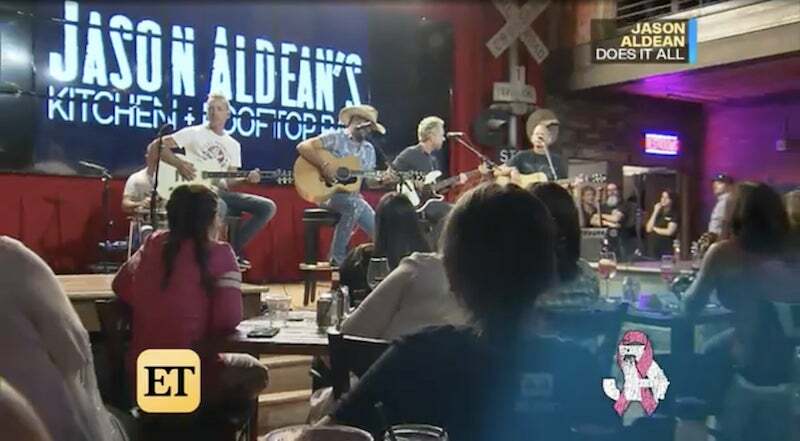 View the ET video exclusive here. Concert For The Cure Was A Success! 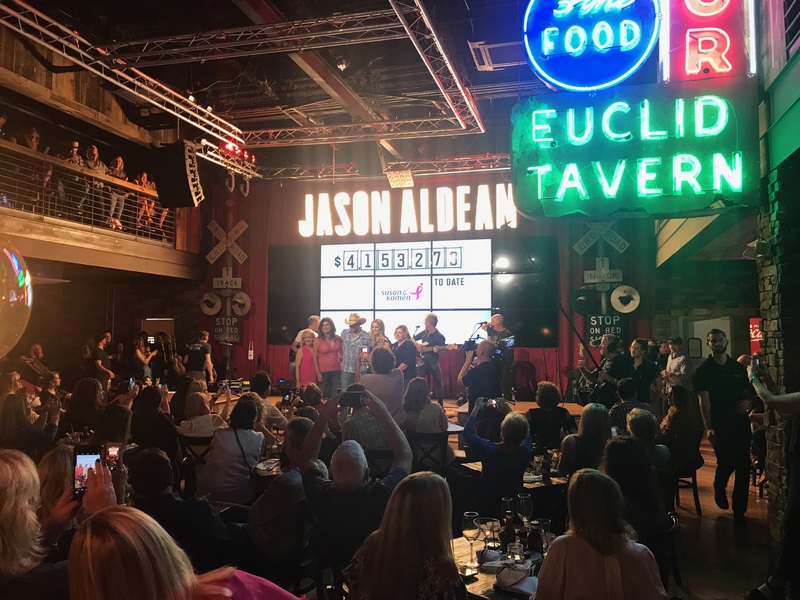 Jason Aldean celebrated his annual “Concert For The Cure” at Jason Aldean’s Kitchen + Rooftop Bar in Nashville on Oct. 3rd. 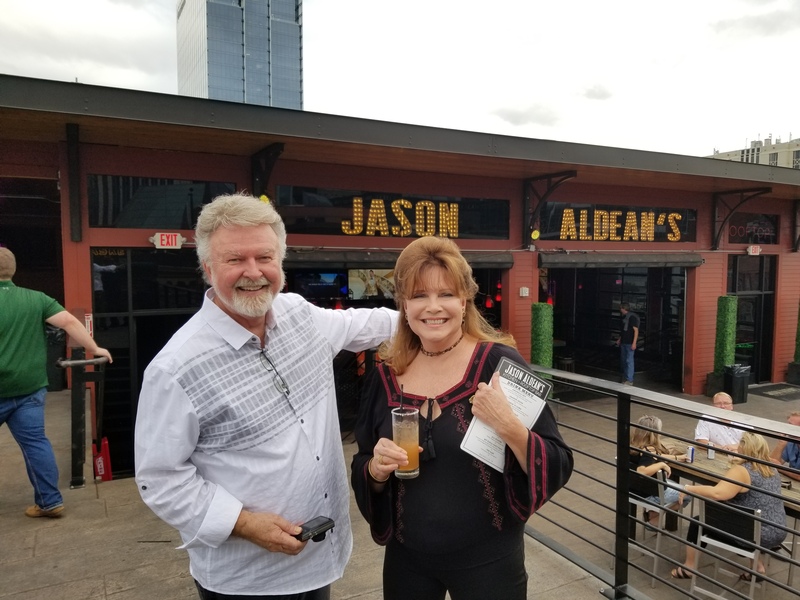 Attendees were treated to an intimate performance by the three-time ACM Entertainer of the Year after a three-course meal off the restaurant’s menu, with all food being donated courtesy of TC Restaurant Group. BBQ SAUCE IS NOW AVAILABLE! 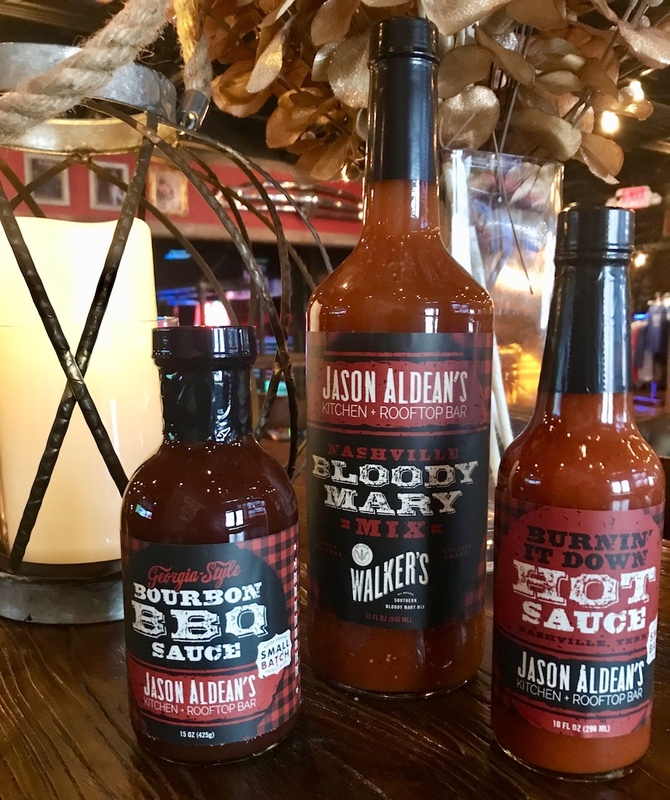 Jason Aldean’s Barbecue Sauces & Bloody Mary mix are now available in the merch store! Visit us Thursdays for our Blue Plate Special. This week is country chicken pot pie!